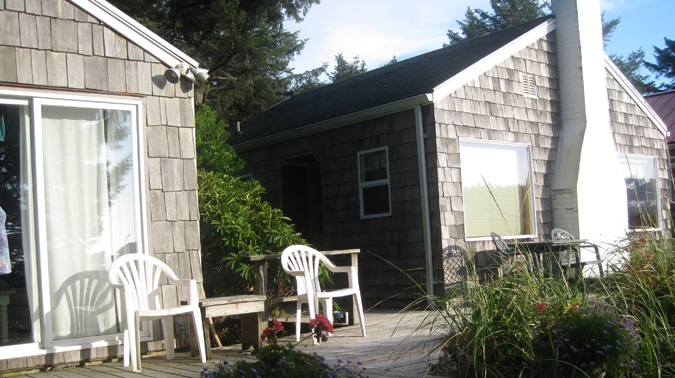 The Beachcomber and the Cabana sit at the north end of the property. 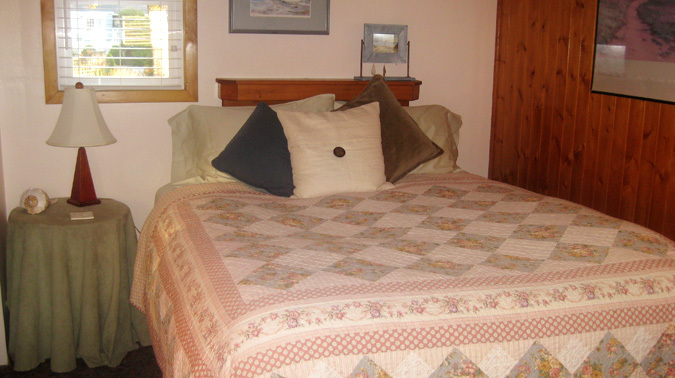 The cottage has the typical layout for a one bedroom cottage. 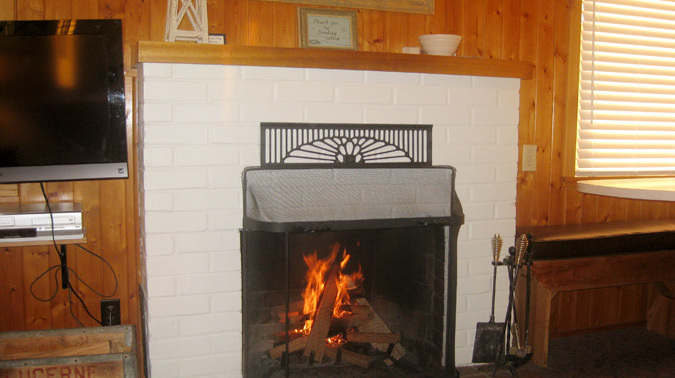 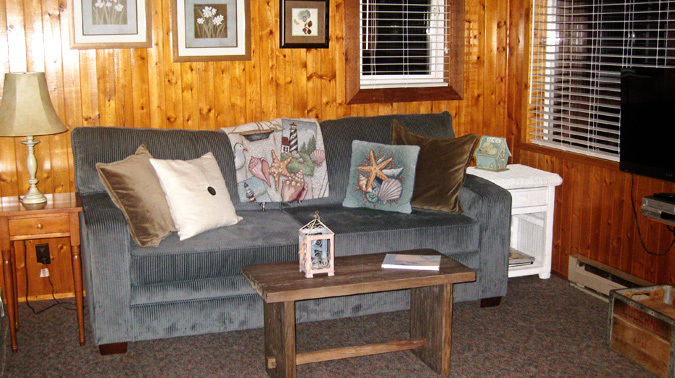 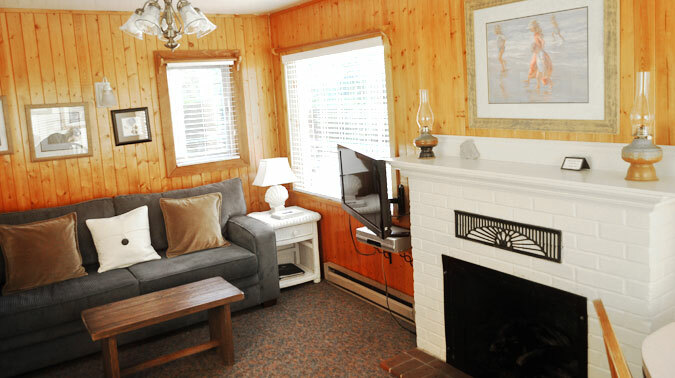 The cottage includes a HDTV, gas fireplace, dishwasher and comfortable furniture. 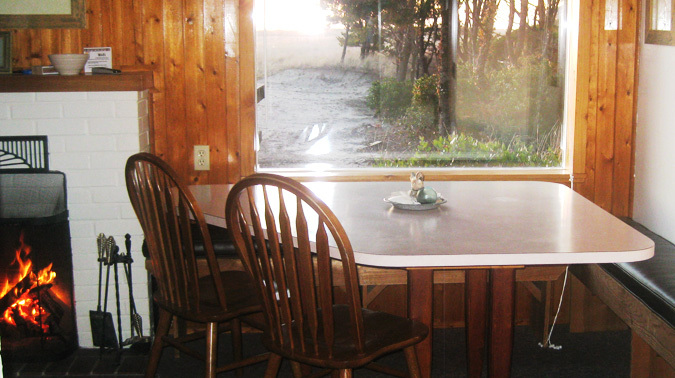 Being located at the north end of the cabins provides a little more privacy.